Peter Blegvad expands his trio with Henry Cow alumni, drummer Chris Cutler and bassist John Greaves, this time with Karen Mantler on keys and chordal instruments, and Bob Drake on guitar, voice and percussion, reworking songs from his solo career and work with Slapp Happy, alongside new numbers of classic Blegvad wordplay, wit, depth and humor; like the label, Recommended! 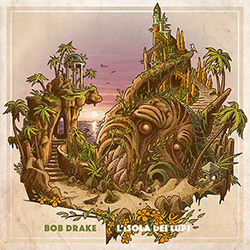 Recorded at la Borde Basse, France, in June, 2017, by Bob Drake. "Peter Blegvad (born August 14, 1951) is an American musician, singer-songwriter, writer, and cartoonist. He was a founding member of German/English avant-pop band Slapp Happy, which later merged briefly with Henry Cow, and has released many solo and collaborative albums. 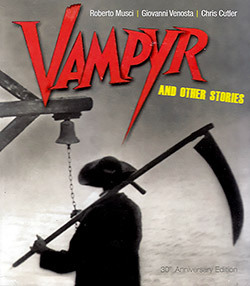 He is the son of Lenore and Erik Blegvad, who were respectively, a children's book author and illustrator. Peter Blegvad's life began in America � he was born in New York City and originally raised in Connecticut. When he was 14, the Blegvad family moved to England in 1965, unhappy with the social climate of America following the assassination of John F. Kennedy and the threat posed by the Vietnam draft to Peter and his younger brother Kristoffer. Blegvad was educated at St Christopher School, Letchworth, a boarding school where he met his musical collaborator Anthony Moore. Moore and Blegvad played in various bands during their schooldays, alongside fellow musicians such as Neil Murray (then a drummer, later a well-known hard rock bass guitarist). In 1972, Blegvad followed the itinerant Moore to Hamburg, Germany, where the two formed the avant-pop trio Slapp Happy with Dagmar Krause, Slapp Happy recorded two albums for Polydor Germany with krautrock group Faust as their backing band. Polydor released the first, Sort Of in 1972, but rejected the second, Casablanca Moon. 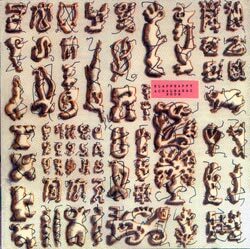 This rejection prompted Slapp Happy to relocate to London where they signed up with Virgin Records and re-recorded Casablanca Moon, released in 1974 by Virgin as Slapp Happy. (The original Casablanca Moon was later released by Recommended Records as Acnalbasac Noom in 1980.) In 1974 Slapp Happy merged briefly with avant-rock group Henry Cow, recording two albums in 1975, Desperate Straights and In Praise of Learning. 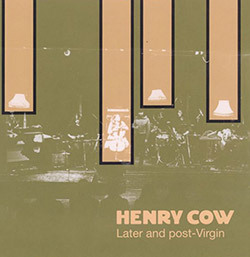 Shortly after recording In Praise of Learning, first Moore and then Blegvad left Henry Cow due of incompatibilities with the other musicians in the group. 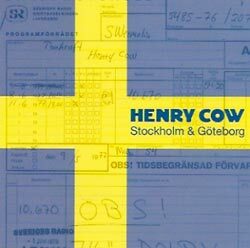 Blegvad has confessed that the technical demands of Henry Cow's music were beyond him ("It was discovered � not to my surprise � that I actually couldn't play Henry Cow music. The chords and the time signatures were too complicated. And... just generally, Anthony and I felt kinda lost...") but it was also clear that there were crucial differences in artistic approach. Blegvad would later reveal (in an interview for the Hearsay fanzine) that "the piece that got me kicked out was "Living in the Heart of the Beast". I was assigned the task for the collective to come up with suitable verbals, and I wrote two verses about a woman throwing raisins at a pile of bones. Tim Hodgkinson just said, I'm sorry, this is not at all what we want. And he wrote reams of this political tirade. I admired his passion and application but it left me cold. I am to my bones a flippant individual, I don't know why I was created thus or what I'm trying to deny, but it clashed with the extreme seriousness. People who take themselves very seriously make me giggle, unless they're pointing a weapon at me or my loved ones". 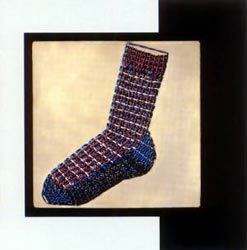 Due to Krause's decision to remain with Henry Cow, Slapp Happy dissolved and the three members went their separate ways (although the group would periodically reunite in 1982, 1991, 1997, 2000 and 2016�17). Blegvad returned to New York to work as a cartoonist, but maintained his interest in music. 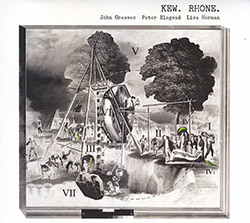 In 1977 he reunited with Henry Cow bass player John Greaves to collaborate on the album Kew. Rhone. 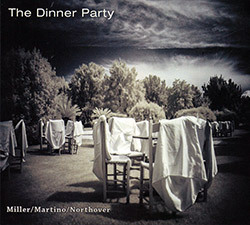 � an unusual cross-genre release combining elements of minimalism, avant-garde jazz and progressive rock. 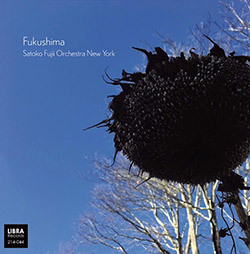 The album was also notable for its personnel, which included celebrated New York jazz musicians Carla Bley, Michael Mantler, and Andrew Cyrille among the performers. As a musical document Kew. Rhone. 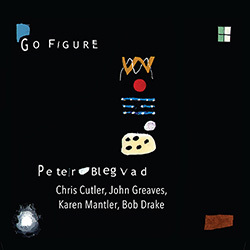 remains both ambitious and unclassifiable; Blegvad's literate and playful lyrics are well-matched by Greaves' complex song structures. Blegvad would later continue his collaboration with Greaves in 1995 on Unearthed, a collection of spoken word pieces set to Greaves' music. In the 1980s, Blegvad released a number of commercially unsuccessful albums on the Virgin Records label, including The Naked Shakespeare and Knights Like This, both of which show the influence of external producers. 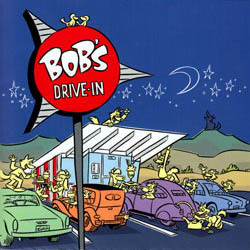 By contrast, Downtime, an independent release in the late 1980s features mainly very simple demos, often recorded cheaply in professional studios' "downtime". King Strut and Other Stories (Silvertone, 1990) is a collection of short stories set to simply arranged, professionally produced music played in many cases by noted session musicians. The album features XTC's Andy Partridge while Orpheus � The Lowdown (2003) is a whole album in collaboration with Partridge. 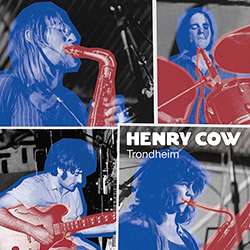 Many of Blegvad's albums feature former members of Slapp Happy and Henry Cow. Blegvad is a deft and literate lyricist whose lyrics frequently feature word games, literary references and complex and extended rhyme schemes. From 1992 to 1999, The Independent ran Blegvad's strangely surreal comic strip, Leviathan, which received much critical praise for blending some of the most interesting elements of Krazy Kat with a coming-of-age-esque story akin to Calvin and Hobbes. Some of the strips have been collected in the 2001 volume The Book of Leviathan. In 2013 the book was published as Le livre de Leviathan in French and received the "Prix R�v�lation" at the 41st Angoul�me International Comics Festival in 2014. Other comics and illustrations by Blegvad have appeared in The Ganzfeld and Ben Katchor's Picture Story 2. He has also conducted two- and three-week writing courses at Warwick University, England, in association with the National Academy for Gifted and Talented Youth (NAGTY), and the new University of Warwick venture for gifted and creative children, International Gateway for Gifted Youth (IGGY). In 2011, Atlas Publishing (trading as "The London Institute of 'Pataphysics") published Blegvad's The Bleaching Stream, described as an "interview format biography." Blegvad's work for BBC Radio 3 includes numerous "eartoons" for the weekly poetry strand The Verb, and a number of radiophonic dramas with Langham Research Centre and with Iain Chambers. These include guest+host=ghost, featuring Nick Cave; Use It Or Lose It which won a Radio Academy Award in 2012; Chinoiserie; Eschatology, starring Harriet Walter and Guy Paul; and The Impossible Book (2016). His 2015 drama with Iain Chambers for Radio Australia, The Eternal Moment starring John Ramm and Emma Powell, was shortlisted for the 2015 Prix Europa. Krause, Moore and Blegvad reformed Slapp Happy in November 2016 to perform with Faust at the Week-End festival in Cologne, Germany. 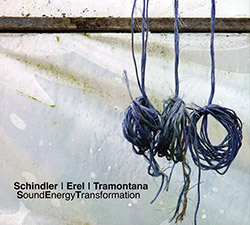 The two groups also played together on 10�11 February 2017 at Cafe Oto in London. On 24 February 2017 Slapp Happy, without Faust, performed at Mt. Rainer Hall, Shibuya in Tokyo." "John Greaves (born 23 February 1950) is a British bass guitarist and composer, best known as a member of Henry Cow and his collaborative albums with Peter Blegvad. He was also a member of National Health and Soft Heap, and has recorded several solo albums, including Accident (1982), Parrot Fashions (1984), The Caretaker (2001) and Greaves Verlaine (2008). John Greaves was born in Prestatyn, North Wales, but grew up in Wrexham in north-east Wales. At the age of 12, he was given a bass guitar by his father, a Welsh dancehall bandleader, and within six months, he was playing in his father's orchestra. He continued playing in the orchestra for four years, during which time its varied musical styles gave Greaves valuable musician and arranger skills. He was educated at Grove Park Grammar School in Wrexham from 1961 to 1968. 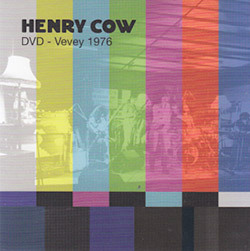 In 1968, Greaves entered Pembroke College, Cambridge to study English, and at Cambridge he met members of the burgeoning English avant-rock group Henry Cow in 1969. The band had been established the previous year by fellow Cambridge students Fred Frith and Tim Hodgkinson and had undergone numerous personnel changes up to that point. They were looking for a bassist and after several months of persuading, Greaves joined the band in October 1969. After juggling his time with the band and his studies, Greaves completed his Master of Arts degree in 1971. 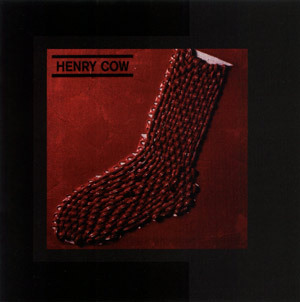 By the end of 1971, Henry Cow settled into a permanent core of Frith, Hodgkinson, Greaves and Chris Cutler. Greaves remained with the band until March 1976, toured Europe extensively with them (with his wife Sarah doing the sound-mix at many of their concerts), and appeared on five of their albums (including two with Slapp Happy). Greaves also contributed several compositions to the band's repertoire, including "Half Asleep; Half Awake", recorded on their second album, Unrest (1974). 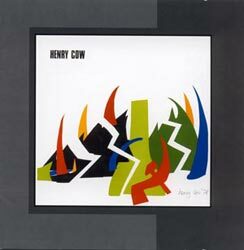 Greaves left Henry Cow to work on a project, Kew. Rhone. with Slapp Happy's Peter Blegvad in New York City. 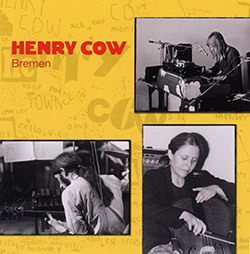 Greaves had met and worked with Blegvad during the brief merger of Henry Cow and Slapp Happy between November 1974 and April 1975, their first collaboration, "Bad Alchemy", appearing on the two bands' joint album Desperate Straights. Kew. Rhone. 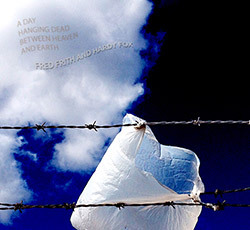 was a song cycle with all the music composed by Greaves and the lyrics written by Blegvad. In addition to bass guitar, Greaves also played keyboards and sang. The album was released in 1977 and credited to Greaves, Blegvad and Lisa Herman, the lead vocalist. It was well received by critics: AllMusic described it as "An unfortunately neglected masterpiece of '70s progressive rock ..."; and Robert Wyatt reportedly liked it so much he bought two copies "just in case the first got worn out!" After Kew. Rhone. Greaves returned to England to work in theatre as a composer, arranger and actor. In early 1978 he joined National Health and remained with them until the band split up in 1980. He toured with the band, appearing on the album Of Queues and Cures, for which he wrote the instrumental tour-de-force "Squarer for Maud", the later reunion effort DS Al Coda (1982) and the archive release Play Time. During this time (1979-88) he also performed with a free-improvising group, Soft Heap with Elton Dean from Soft Machine, Pip Pyle from National Health, and maverick guitarist Mark Hewins. In the early 1980s Greaves began a series of solo projects and collaborations. Having secured a deal with independent French-American label Europa Records, he recorded his first solo album, Accident in Paris in 1981-82. 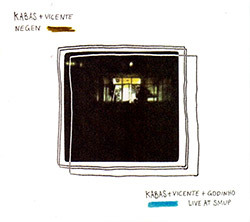 He moved to France permanently in 1984, and formed a touring band with François Ovide (guitar and trombone), Denis van Hecke from Aksak Maboul (cello), Mireille Bauer (formerly of Gong) (stand-up drums and percussion) and Blegvad's brother, Kristoffer Blegvad (backing vocals). 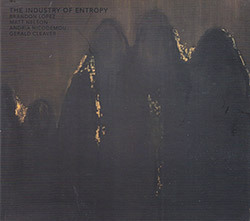 This line-up also featured on Greaves's second solo album, Parrot Fashions (1984). During this time he also recorded and/or toured with the Penguin Cafe Orchestra and the Michael Nyman Band. He reunited with Peter Blegvad again on The Lodge project (alongside Kristoffer Blegvad, Jakko Jakszyk and Anton Fier) which produced an album, Smell of a Friend in 1987 (but only ever made a couple of attempts at performing live). 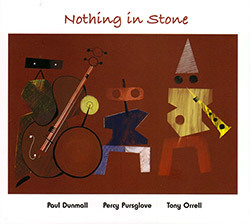 For his next album, 1991's La Petite Bouteille de Linge (Little Bottle of Laundry), Greaves retained the services of Ovide on guitar, adding his old mate Pip Pyle on drums and the latter's then-partner, Sophia Domancich on piano. Over the next few years his music took on a more acoustic flavour and Greaves eventually settled on a drum-less line-up comprising Domancich, Ovide (now on acoustic guitar exclusively) and double bass player Paul Rogers. This resulted in the 1995 album Songs, which consisted largely of acoustic arrangements of songs from his previous efforts, going back to Kew.Rhone. Greaves himself only handled lead vocals on one track, "The Green Fuse" (based on a Dylan Thomas poem), leaving the spotlight to Robert Wyatt, opera singer Susan Belling, Kristoffer Blegvad and French variety singer Caroline Loeb. 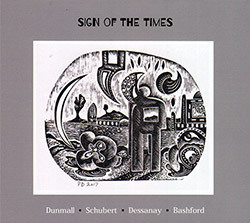 During the 1990s, Greaves also embarked on one-off collaborations with David Cunningham from The Flying Lizards, on 1991's greaves, cunningham album, and Peter Blegvad on 1995's Unearthed. 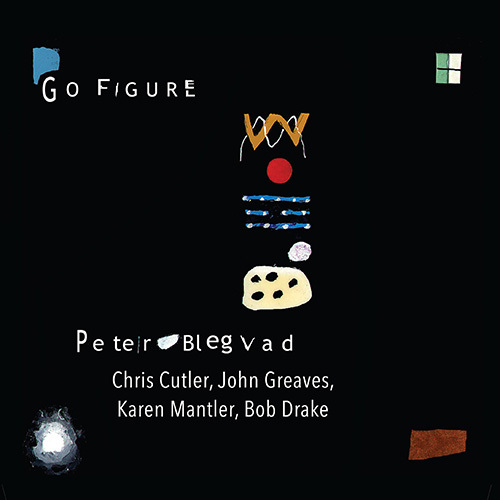 He also played bass in Blegvad's own trio alongside Chris Cutler on drums, which recorded two studio albums. In the early 2000s Greaves chose to divide his time between two contrasting bands, an electric trio named Roxongs with François Ovide on guitar (later replaced by Patrice Meyer then Jef Morin) and Manu Denizet on drums, heard on 2001's The Caretaker, and an acoustic trio named Jazzsongs, with Sophia Domancich on piano and Vincent Courtois on cello, heard on 2003's The Trouble With Happiness, once again a mixture of old and new songs, but this time with Greaves himself singing all the way through. 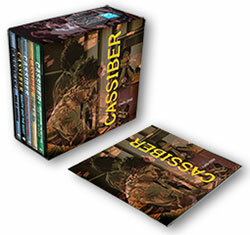 Originally intended as a follow-up of sorts to the acclaimed Songs, 2004's Chansons saw Greaves team up with lyricist Christophe Glockner and vocalist Elise Caron for a collection of all-new songs with predominantly acoustic instrumentation, including guest spots by Robert Wyatt and Louis Sclavis. During the same period, Greaves appeared as featured vocalist on a number of projects. 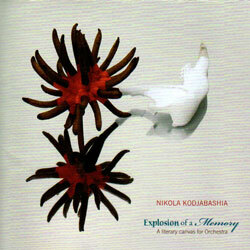 He contributed lyrics and vocals to two songs on saxophonist Julien Lourau's acclaimed Fire & Forget (2005), to much of Sophia Domancich's Snakes & Ladders (2010) sharing the microphone with Himiko Paganotti and Robert Wyatt, and sang all the vocals on Alain Blésing's Songs From The Beginning project, revisiting 1970s progressive rock classics by King Crimson, Soft Machine, Henry Cow and Hatfield and the North among others, Catherine Delaunay's Sois Patient Car Le Loup (2011), the French clarinettist's settings of texts by Malcolm Lowry, and Post-Image's In An English Garden (2012), a special project celebrating the jazz-fusion group's 25th anniversary. 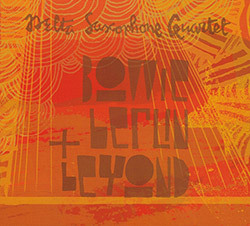 Having had two of his songs used by the Daniel Yvinec-led edition of the Orchestre National de Jazz's tribute to Robert Wyatt, Greaves fulfilled a lifelong dream by fronting the ONJ at the legendary Theatre du Chatelet in Paris in January 2011, singing several Billie Holiday songs either solo or alongside Sandra Nkaké. Since the mid-2000s, Greaves' main focus has been a series of projects centered on French poet Paul Verlaine (1844-1896), beginning with 2008's, Greaves Verlaine, his own settings of Verlaine poems with a decidedly un-retro aesthetic conceived in cooperation with French multimedia collective Les Recycleurs de Bruits. In addition to his Roxongs bandmates the album featured regular collaborators Jeanne Added (vocals) and Scott Taylor (accordion, trumpet), as well as appearances by Karen Mantler and Dominique Pifarély. Concerts promoting this release saw Greaves accompanied by line-ups ranging from just Taylor on accordion to a full electric septet. 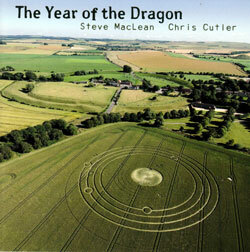 A second volume saw the light of day in 2011 but received very little media attention due to nonexistent promotion. Instead, Greaves embarked on yet another Verlaine project, this time composing to an original libretto by Emmanuel Tugny. "Verlaine, Les Airs" saw Greaves team up with a trio of French vocalists, Elise Caron, Jeanne Added and Thomas de Pourquery. 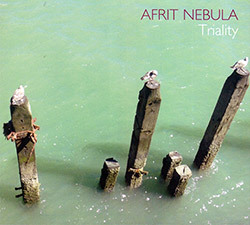 The work was premiered in December 2012 at Le Triton following a residency at the venue, has since been performed at the Orléans Jazz Festival and at Les Sables-d'Olonnes, and a studio album was released in April 2015 on Bruno Letort's Signature label." "Karen Mantler (born 25 April 1966, New York City, New York, United States) is an American jazz musician (piano, organ, chromatic harmonica), singer and composer. She is the daughter of Carla Bley and Michael Mantler. Her musical debut consisted of contributing vocals on Carla Bley's albums Escalator Over the Hill (1971) and Tropic Appetites (1972). She then continued performing and recording on glockenspiel, organ and chromatic harmonica in many of Carla Bley's ensembles and projects from 1977 on to the present. She studied at the Berklee College of Music in Boston on a scholarship from 1985-87. She moved back to New York City in 1987 where she formed her own ensemble to record her first two albums for the XtraWATT record label (distributed by ECM Records), My Cat Arnold (1989) and Get The Flu (1990). 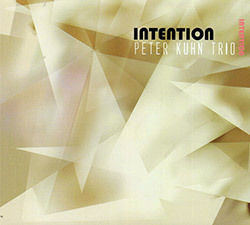 The band toured Europe several times and also appeared at venues in New York, on Dave Sanborn's NBC Night Music television show, and at the Montreal International Jazz Festival (1991). She recorded two more albums of her music, Farewell (XtraWATT, 1996) and Pet Project (Virgin Classics, 2000). In 2003 she collaborated with Robert Wyatt on his album Cuckooland, playing keyboards, singing and contributing three of her own compositions. 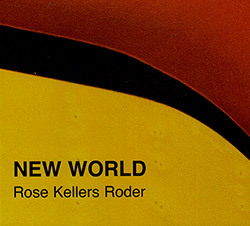 She has performed and recorded with a wide variety of musicians including Steve Swallow, Motohiko Hino, Michael Mantler, Terry Adams, Robbie Dupree, Artie Traum, Peter Blegvad, John Greaves, Chris Cutler, Dagmar Krause, Annie Whitehead, Anton Fier's band The Golden Palominos and Tony Scherr. She has also been featured in numerous Hal Willner productions. 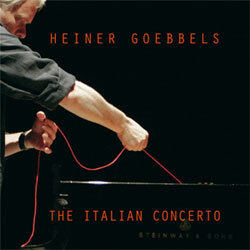 She continues to work closely with Carla Bley as her copyist, art director and personal assistant. As well as creating the WATTxtraWATT web site, she has been the designer of every WATT and XtraWATT CD cover and booklet since 2003. 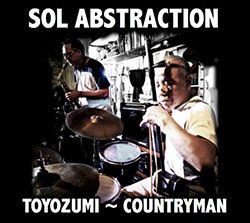 At the same time she has been working with her trio featuring bassist Kato Hideki and multi-instrumentalist Doug Wieselman. Her fifth recording as a leader, entitled Business Is Bad, was released in June 2014 (XtraWATT/14)." 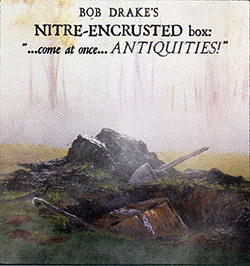 "Bob Drake was born in Cleveland, Ohio on December 6, 1957, and spent his youth in Watseka, Illinois. There he taught himself how to play guitar and drums, but after hearing Yes's Fragile in 1972, Drake decided he wanted to be a bassist and bought himself a Rickenbacker 4001 bass guitar, which he still uses today. 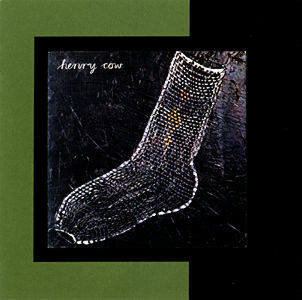 Henry Cow also had a big influence on him: "[T]hey were doing something I felt was a lot closer to what I was imagining I'd like to do - 'complex' intricate songs and arrangements, noisy things going on which fit organically in the music, and less emphasis on 'perfect' studio overcooked impersonal perfection." Drake experimented with recording techniques and "warped rock", but soon found that no one was interested in "new and strange music" in his rural Midwestern home town. He moved to Denver, Colorado in 1978 where he worked for a while as a sound engineer on B horror movie sets. He also spent time recording local underground bands and playing bass guitar and drums with some of them. Drake put an advertisement at a local music store requesting a guitar player "into Henry Cow, Yes ...", and met up with experimental rock guitarist and composer Mike Johnson. Drake and Johnson played in a few cover bands before forming Thinking Plague in 1982. 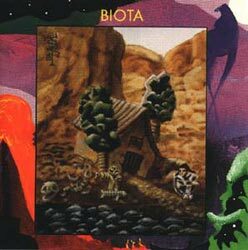 By 1990 Thinking Plague had recorded three albums and established a name for themselves in progressive circles. In the late 1980s the Denver music scene "just evaporated" as musicians seeking "greener pastures" moved elsewhere. Drake, "flat broke" at the time, moved to Los Angeles where he found a job as a recording engineer. There he established a name for himself working with several mainstream artists like Ice Cube, Tina Turner and Engelbert Humperdinck. During this time he also formed an alternative rock group, Hail with ex-Thinking Plague's singer Susanne Lewis, and joined Dave Kerman's avant rock group, the 5uu's. Hunger's Teeth, the 5uu's' third album was praised for its "challenging music" and "production values", and made Drake a "sought-after engineer and collaborator". Drake released his first solo album, What Day is It? in 1994. It was a limited edition (1,000 copies) self released record that Drake pressed himself. 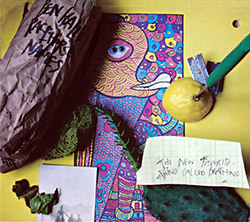 He later made five more solo albums, which were all released on ex-Henry Cow drummer Chris Cutler's UK independent record label, Recommended Records. In 1994 Drake and Kerman moved to an old farm house owned by Cutler and Henry Cow's sound engineer EM (Maggie) Thomas in Caudeval, southern France. They converted it into a studio which they called Studio Midi-Pyrenees. 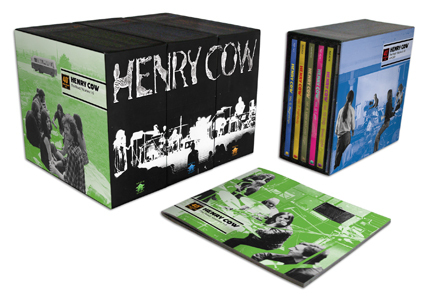 Later Drake worked closely with Cutler on a number of projects for Recommended Records, including the remastering of several albums and box sets, for example The Art Box (2004) and The 40th Anniversary Henry Cow Box Set (2009). 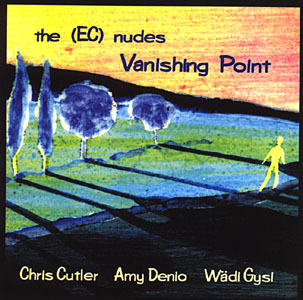 He also joined Cutler's avant-rock band The Science Group in 1997, in which he played and engineered/produced the group's two albums. Drake continued to work on and off in the 2000s with Thinking Plague and the 5uu's. 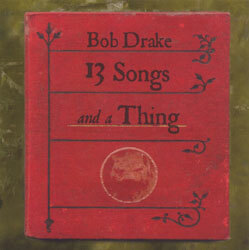 In 2007 he formed his own group, Bob Drake's Cabinet of Curiosities to perform material from his solo albums live on stage. The group comprised Drake (guitar, vocals, violin, banjo), Kerman (drums), David Campbell (guitar, bass guitar, vocals) and Jason DuMars (soprano/alto saxophones, keyboards). They played at NEARfest in Pennsylvania in June 2007 with guests Olivier Tejedor (keyboards) and Lynnette Shelley (vocals)." 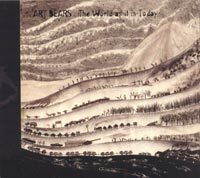 "Artist, poet, illustrator, philosopher, cartoonist - so broad are Peter Blegvad's other interests, and so protean his muse, that one sometimes has to wait for years for his attention to turn again to music. But the payoff lies in the way that those other pursuits feed back into his music in the form of songs that exult in their uniqueness. Blegvad is one of pop's very few "true originals" whose work always bears out that status. Probably best known for Leviathan, his long-running Independent On Sunday cartoon strip, Blegvad brings a similar level of abstruse conjecture and whimsical wordplay to his lyrics, whether he's musing, in "Sven", upon a leathery ancient corpse preserved "in a Finnish fen", or offering a grim reflection, in "Mind The Gap", on how a terrorist bomb destroys the collective isolation of Tube travellers: "Blown apart and blown together, now the two of us were one". However, it's not usually that dark: "Too Much" is a jaunty ragtime rumination on excess, slipping from familiar physical indulgence to more abstract realms ("too much sturm, too much drang, too much yin, too much yang"); and in "My Father's Face", Blegvad pirouettes on the cusp of whimsy and something more sinister, relating how he once drew his sleeping father, then erased his face. But perhaps his most elegant and amusing aesthetic reflection resides in "Way To Play The Blues", where he uses John Cage's epigram "I have nothing to say and I am saying it, and that is poetry as I need it" as inspiration for a (probably apocryphal) tale of the Stones asking Blegvad to help them understand the way to play the blues, a question he denudes of dues, and ultimately of volition. 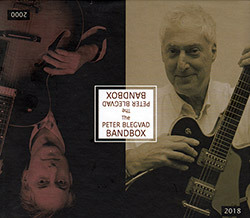 Blegvad's band, comprising various Henry Cow alumni and sundry avant-gardists, provides flexible support for his musings, from the sinister cod-reggae shuffle of "Penny Black", about a cursed stamp, to the more indefinable brew of languid, jazzy raunch-rock conjured to convey the enigmatic villain of "Had To Be Bad". 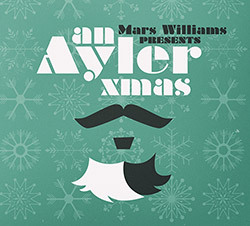 Elsewhere, there's an aptly Kevin Ayers-y air to the Provençal tableau "Cote D'Azur", while "God Detector" adopts a suitably Dylanesque tone for the tale of a man with a machine he claims can trace divinity - for which, of course, he searches in vain amongst humanity.